Andrew Castle is a leading broadcaster, awards host and after-dinner speaker. Andrew occupied the GMTV sofa as an anchor for over ten years. Equally adept at grilling politicians to conversing with Hollywood starlets, he has interviewed everyone from Tony Blair to Joan Rivers, the Rolling Stones to Miss Piggy, David Cameron to Vera Lynn and Tom Cruise to Jordan. Andrew now presents the breakfast show slot on Smooth FM every weekday. A former British Number One tennis player who turned professional in 1986, Andrew is also a double Olympian, having been a member of Great Britain’s Olympic Teams in Seoul 1988 and Barcelona 1992. With a fantastic sports CV, Andrew Castle was more than qualified to become a presenter for some of the world’s top tennis tournaments. His first presenting role was as a co-presenter with Sue Barker at Sky, followed on by presenting numerous golf and tennis tournaments including the U.S. PGA Tour, European PGA Tour and the 1995, 1997 and 1999 Ryder Cups. Andrew is the BBC’s lead commentator throughout Wimbledon fortnight, culminating in the Men’s Singles Final where he has presented alongside tennis legends such as John McEnroe, Jimmy Connors, Boris Becker and Tim Henman. 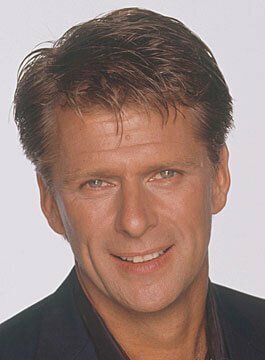 In addition to his sports commentary, Andrew Castle hosted the ITV1 game shows Divided and Perseverance, as well as Andrew Castle’s Tennis Night, a phone-in programme on BBC Radio Five Live. Andrew still plays tennis to a high standard and is a regular in the Men’s Senior Championships at Wimbledon playing with John McEnroe and Tim Henman. In addition, he plays in ‘The Statoil Masters’ at The Royal Albert Hall and at the Hurlingham Club pre Wimbledon. Aside from Andrew’s TV and Broadcast career, he is also a very popular after dinner speaker and conference presenter. He has hosted leading national award ceremonies for clients such as Abercrombie & Kent, The Sunday Times, Learning & Skills Council, Ariel and the NHS.